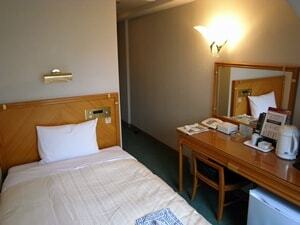 Hotel Kizankan is in the excellent location only a 2-minutes-walk from the Hongo-sanchome subway station. 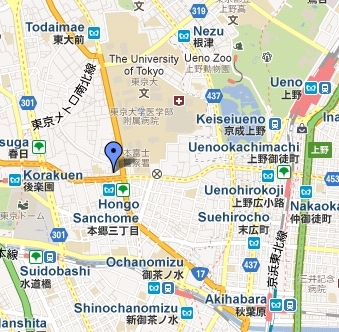 And it is conveniently located close to Akamon-gate(Red-gate) of the University of Tokyo. If you want to go to Tokyo Station, Akihabara, Shinjuku, Ikebukuro, and anywhere in Tokyo, then Hotel Kizankan will be an ideal base for sightseeing and business travelers ! Our website has become "Mobile-friendly"
Wireless connection(free Wi-Fi) has been available on guest floors!! We redesigned our English website! Hotel Kizankan has total of 125 rooms from single rooms to quadruple rooms, and we offer a service full of confort and hospitality of Ryokan(Japanese traditional-style inn).